A user who has a high-resolution screen such as a 4K monitor, or who has poor eyesight, generally has scaling enabled by setting the DPI (Dots Per Inch) on the client machine to greater than 100 percent. With the Display Scaling feature, the remote desktop or application supports the client machine's scaling setting, and the remote desktop or application appears normal-sized instead of very small. Horizon Client saves the display scaling setting for each remote desktop separately. For remote applications, the display scaling setting applies to all remote applications that are available to the currently logged-in user. The display scaling setting appears, even if the DPI setting is 100 percent on the client machine. 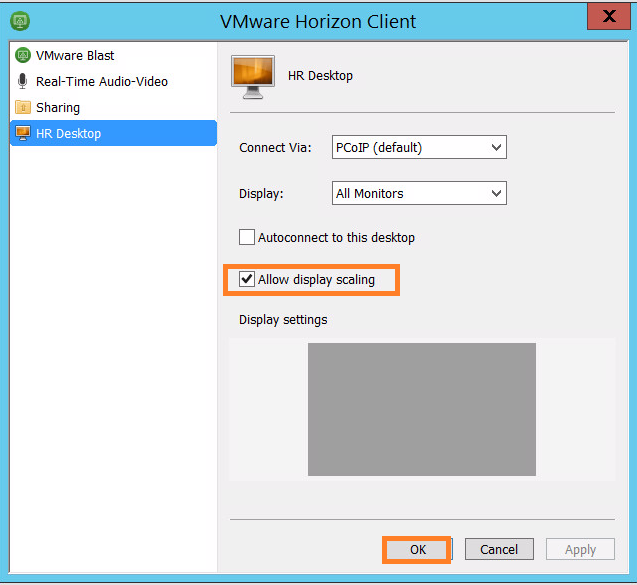 An administrator can hide the display scaling setting by enabling the Horizon Client Locked Guest Size group policy setting. Enabling the Locked Guest Size group policy setting does not disable the DPI Synchronization feature. To disable the DPI Synchronization feature, an administrator must disable the DPI Synchronization group policy setting. 4. 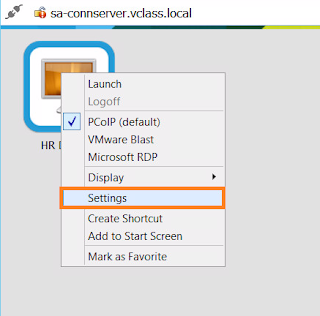 Start Horizon Client and connect to a server. 5. In the desktop and application selection window, right-click the remote desktop or application and select Settings. 6. 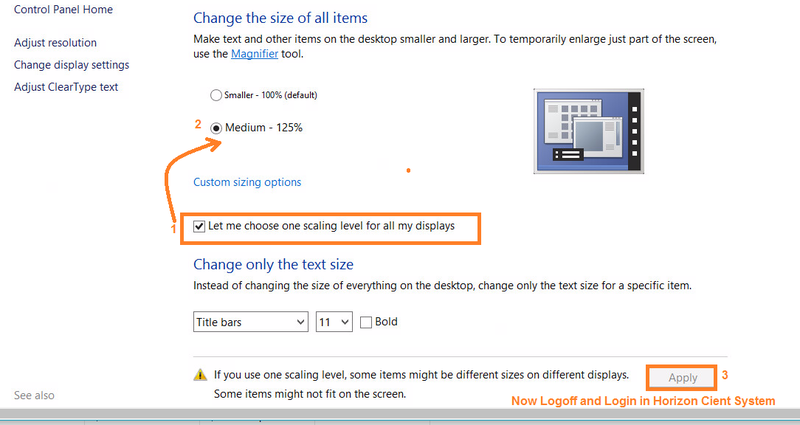 Select the Allow display scaling check box. Click Apply to save your changes. Click OK to close the dialog box. Now you can experience same display scaling in your VD session. 0 Response to "Display Scaling Feature in VMware Horizon Client "